Vegetables of your choice! 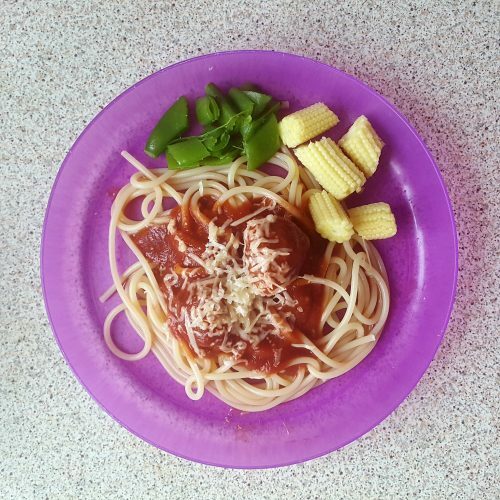 We used baby corn and sugar snap peas because we had some that needed using up! 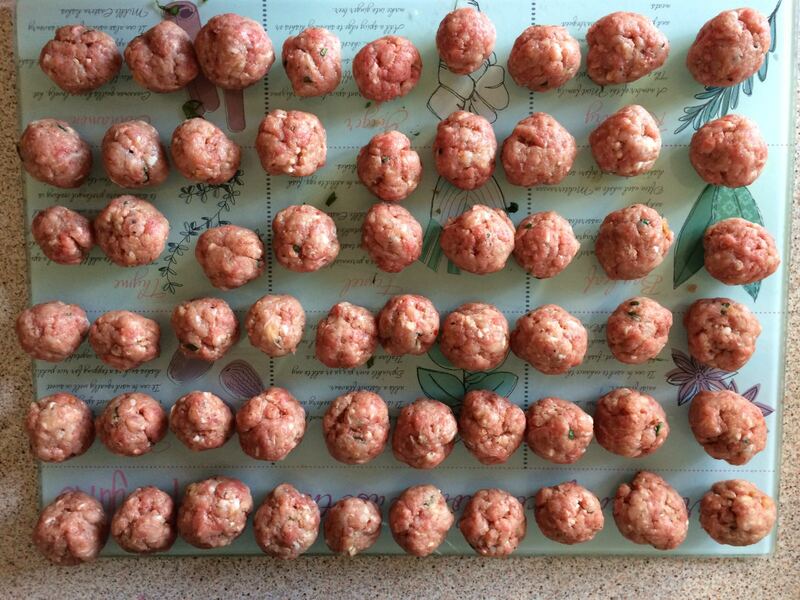 Shape the mixture into balls – as big or small as you like! We make them about an inch wide. This mixture makes a lot of meatballs. We portioned ours so we had four bags for the freezer too. (Each bag had enough meatballs in to make a meal for the three of us.) 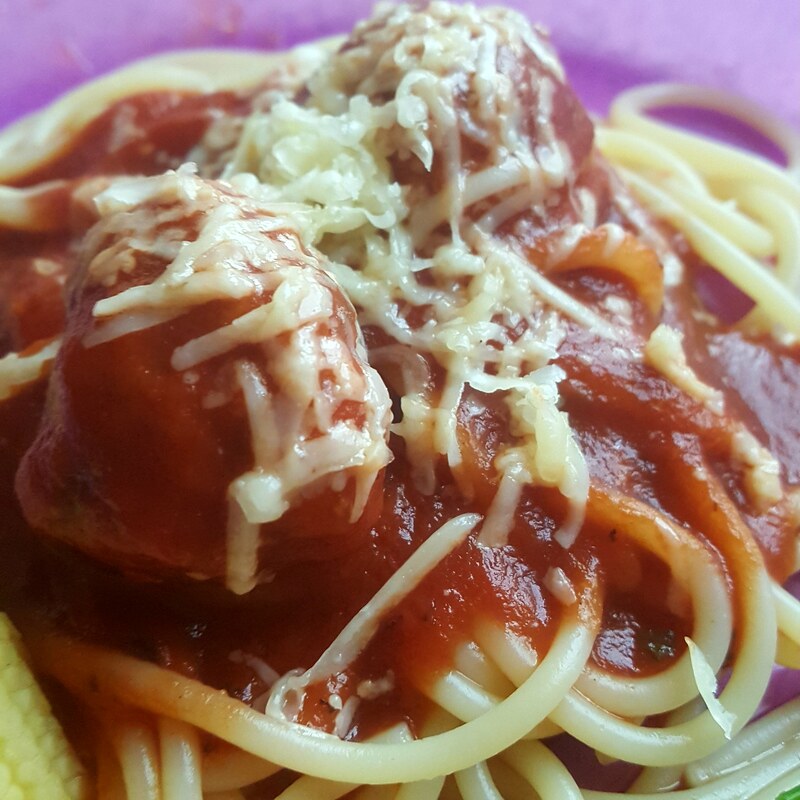 This saves so much time in the week when we are working and want a quick, healthy, home cooked meal. To the same pan, add the sauce ingredients. Mix well and transfer to a casserole dish with the lid on. 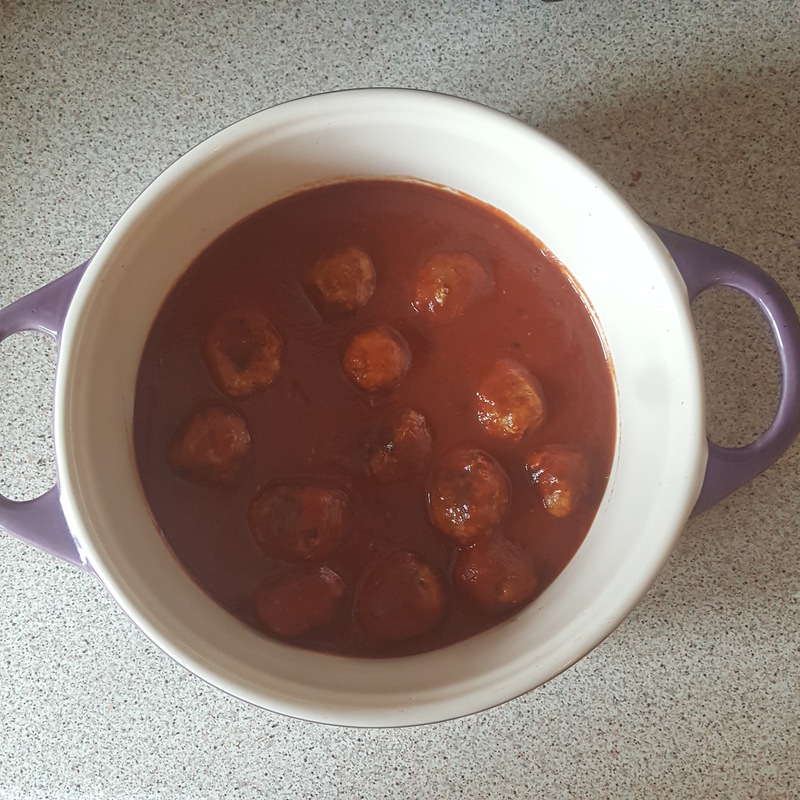 Place the meatballs and sauce into a preheated oven at 180 degrees. After half an hour turn the oven down to 120 and leave to cook for a further hour. 10 minutes before serving, cook your spaghetti and side vegetables. We also like to grate some cheddar cheese to go on the top! I’m sure he’s used to chewing now but did you ever cut up the spaghetti for him? 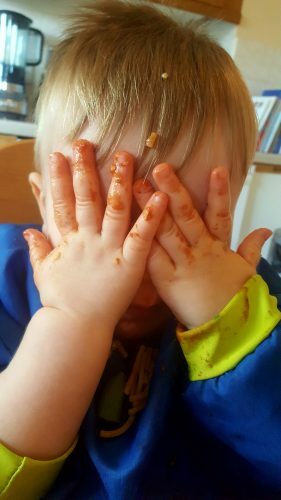 I did used to roughly cut spaghetti up, even now I snap it in half for him before cooking. He likes slurping spaghetti but finds it easier if it’s a bit shorter. 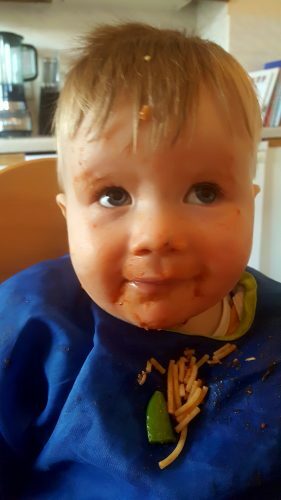 Some babies on our Facebook group manage really well with spaghetti from 6 months old! Is this 180 Celsius or Fahrenheit? Silly question – did you just place the meat balls loose in a freezer bag and pop it in the freezer? Hi, yep, I just portion them off and pop them into a freezer bag raw, ready for another day.